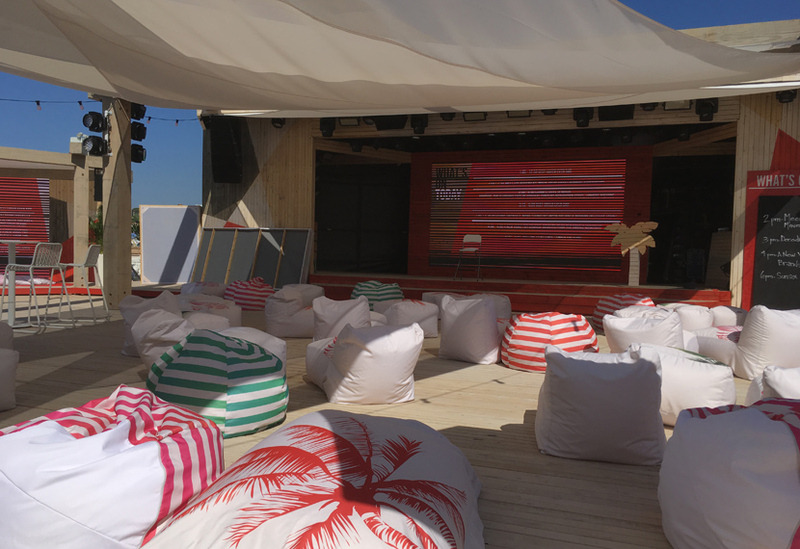 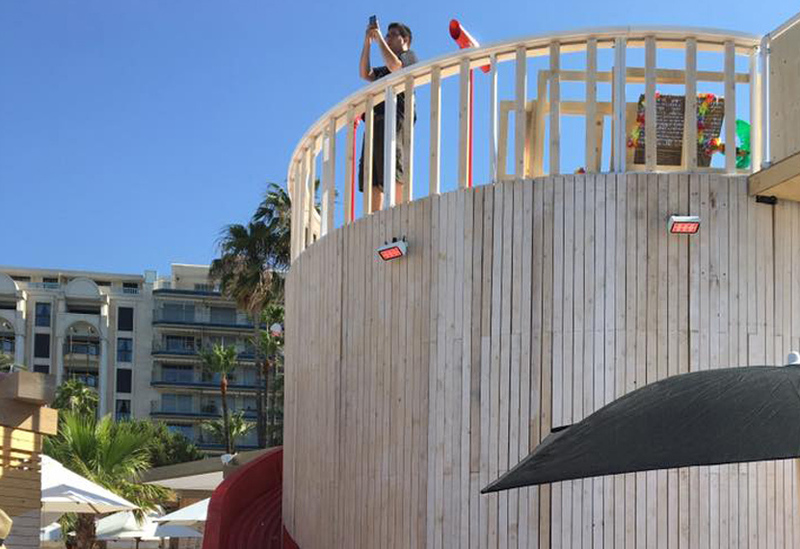 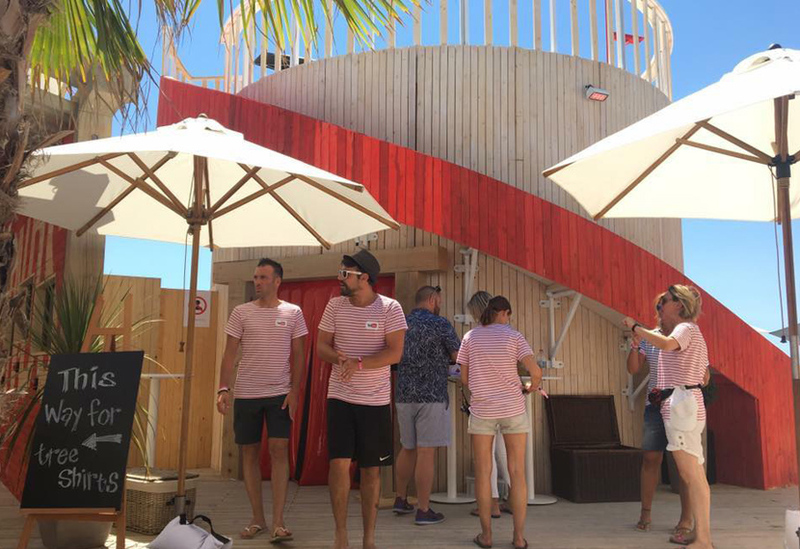 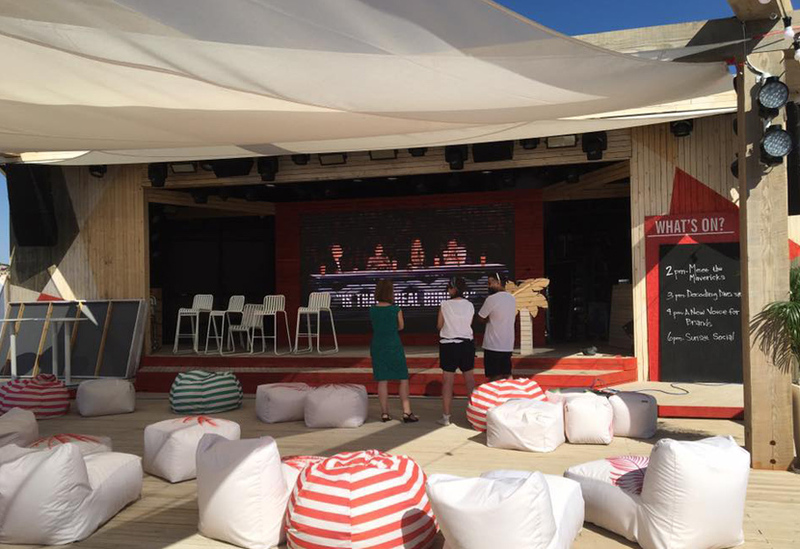 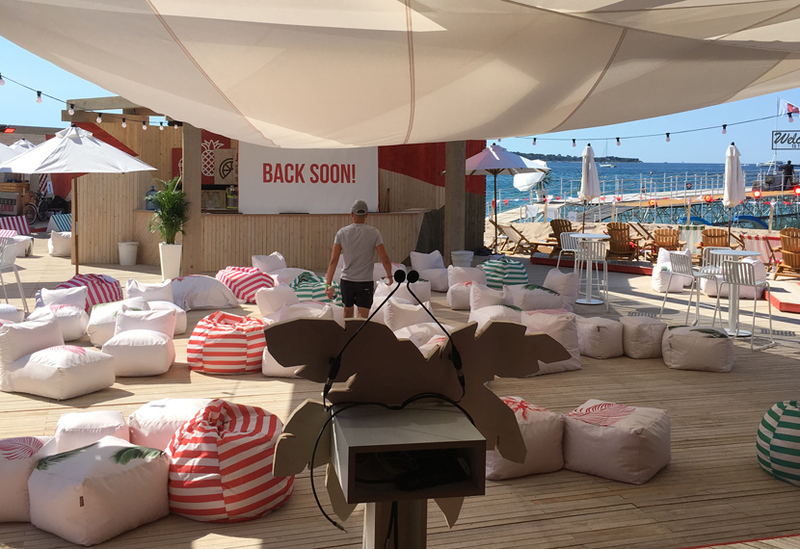 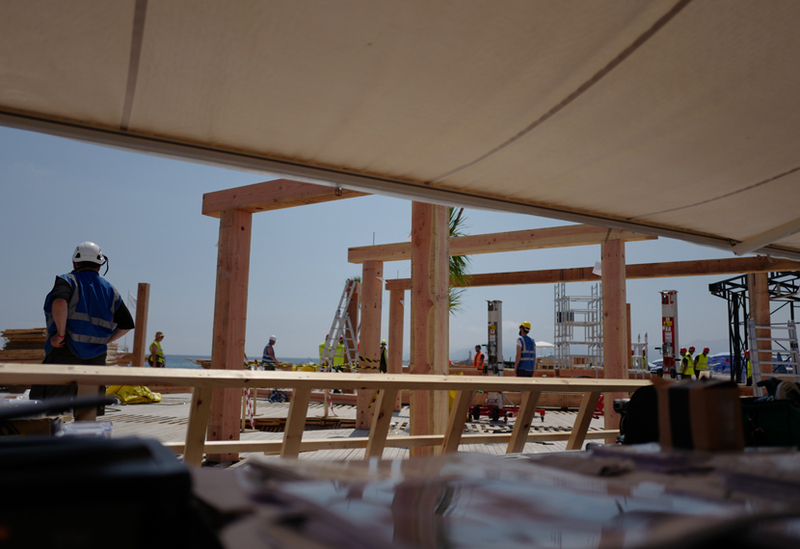 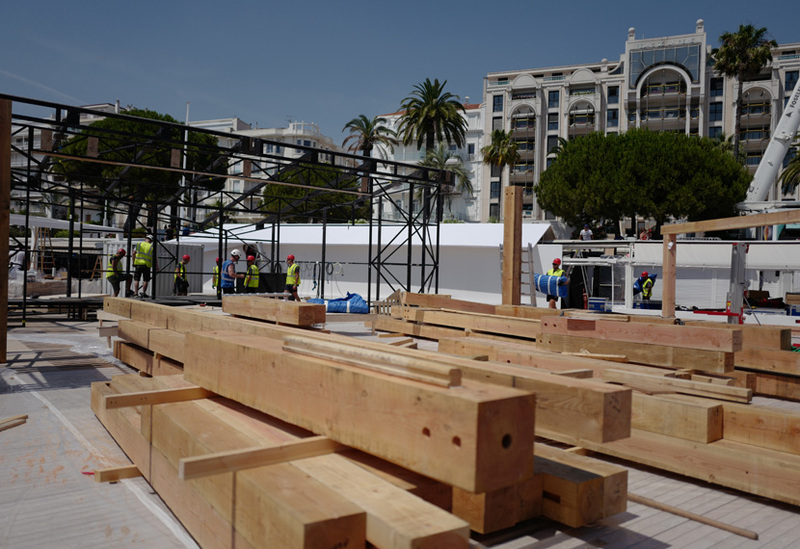 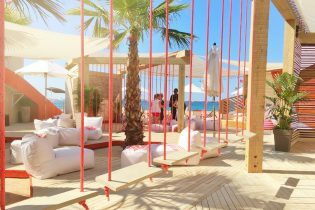 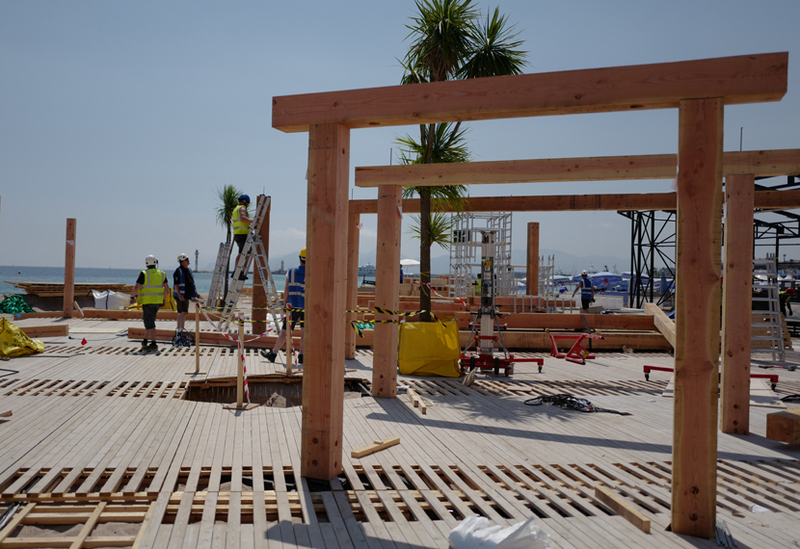 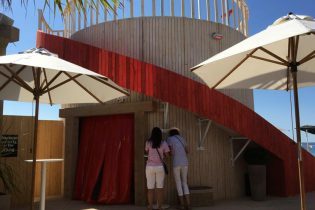 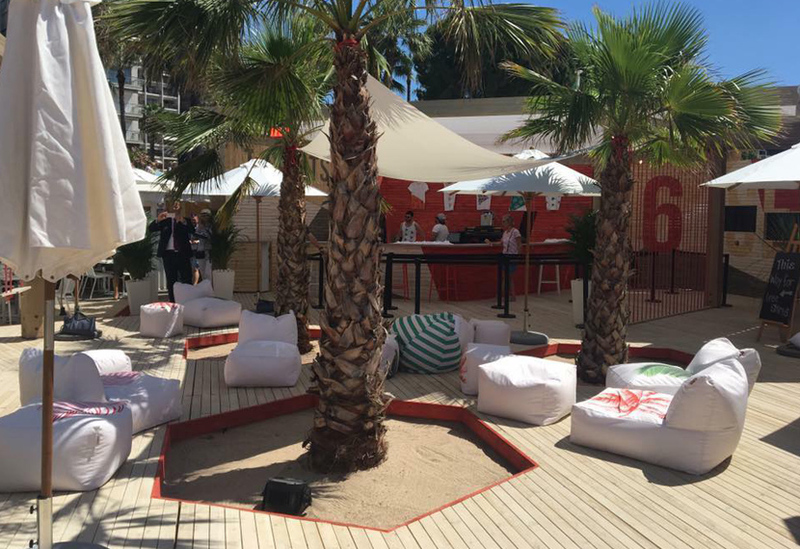 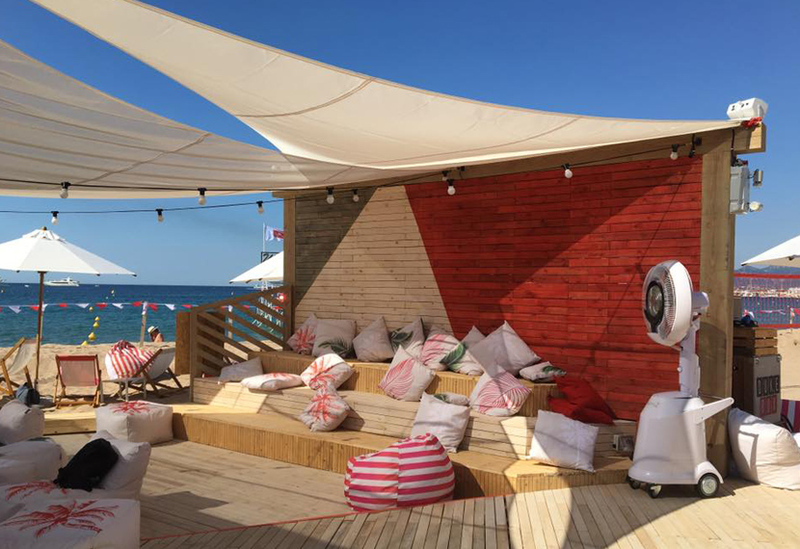 We manufactured and installed the entire multi-zoned YouTube Beach at the busy Cannes Lions Festival, constructing the sub-floor, decking and over a dozen individual structures. 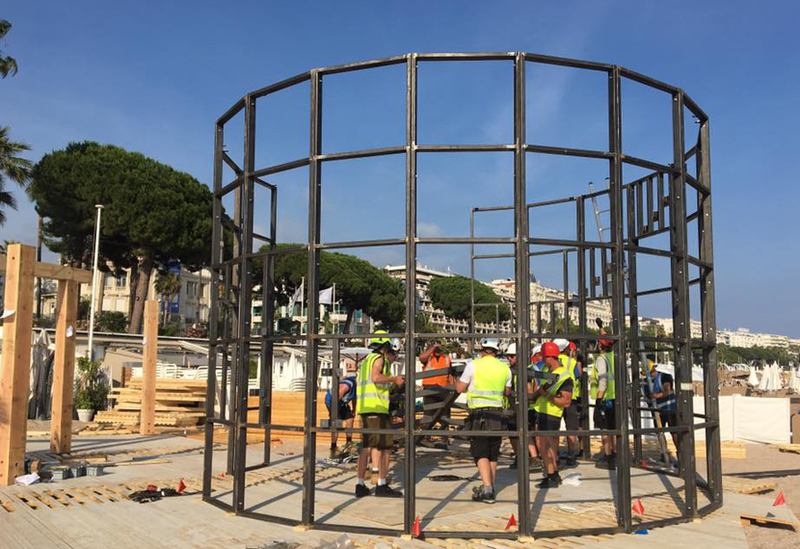 This year’s build was the most extensive our crew have undertaken in Cannes and the installation was completed in just seven days. 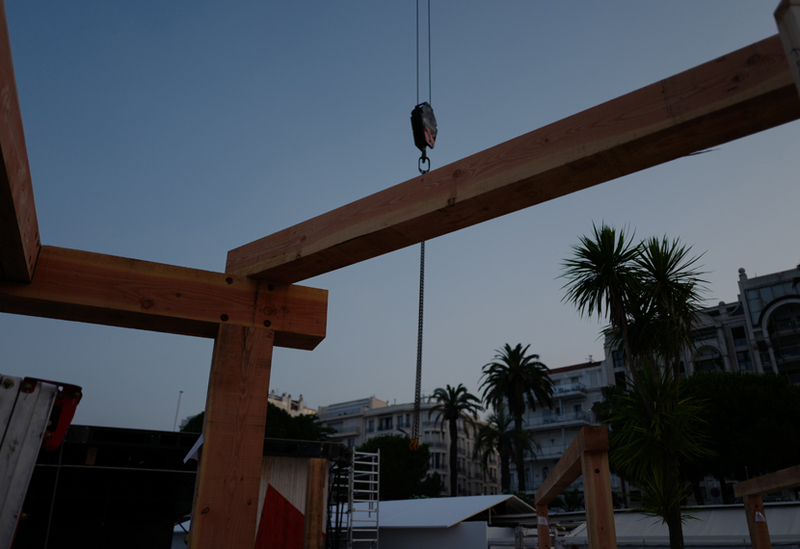 Chunky Douglas fir beams were used to create the main structural features including the distinctive entrance arches. 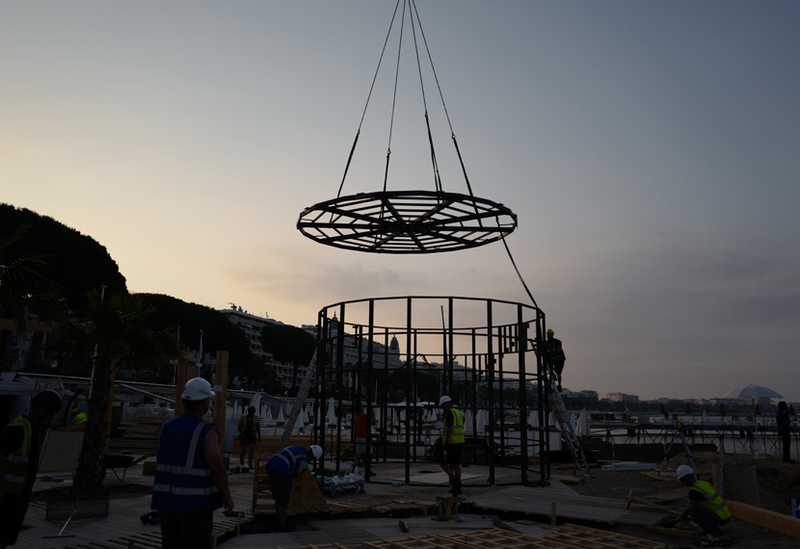 A robust steel tenon and mortise style substructure addressed many of the problems inherent with the beach environment, enabling us to precisely locate and secure the large beam uprights that featured throughout the set, whilst also alleviating the potential problem of uplift. 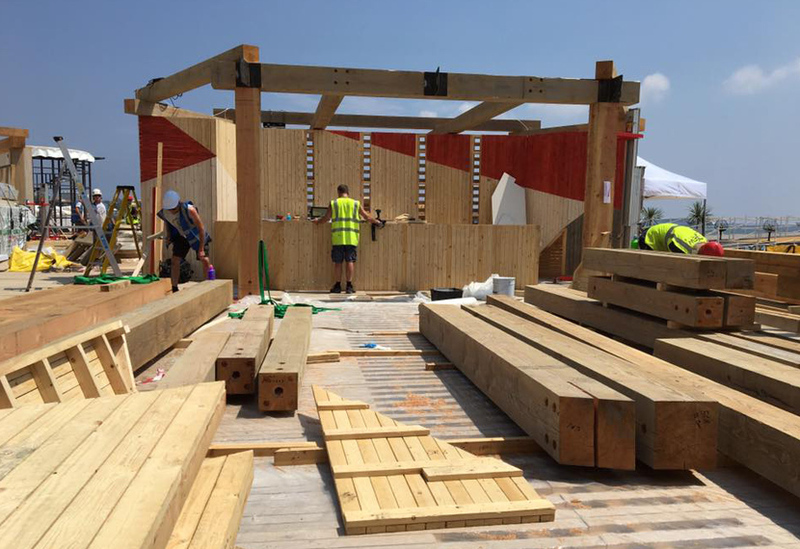 Steel skeletons supported the larger structures of the Main Stage and the 5.5m high drum Slide, while timber panelled walls divided the space, creating different zones including bars, Beach Volleyball, ‘Tree-shirt Making’ and Out of Office work area. 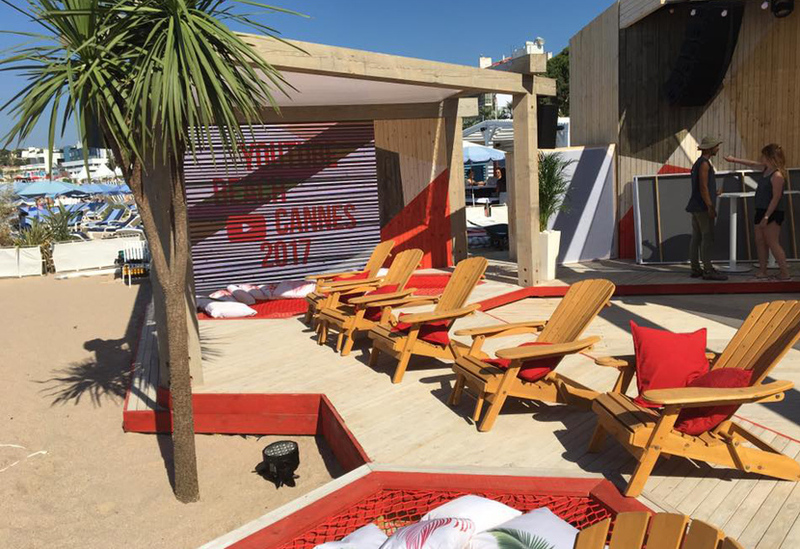 Geometric shapes featured structurally and graphically, along with stencils in the YouTube colours.